This entry was posted in Color, Weekly PhotoChallenge and tagged Argentina, Buenos Aires, mafalda, monument, San Telmo, sculpture, street photography, weekly photo challenge: monument. Bookmark the permalink. 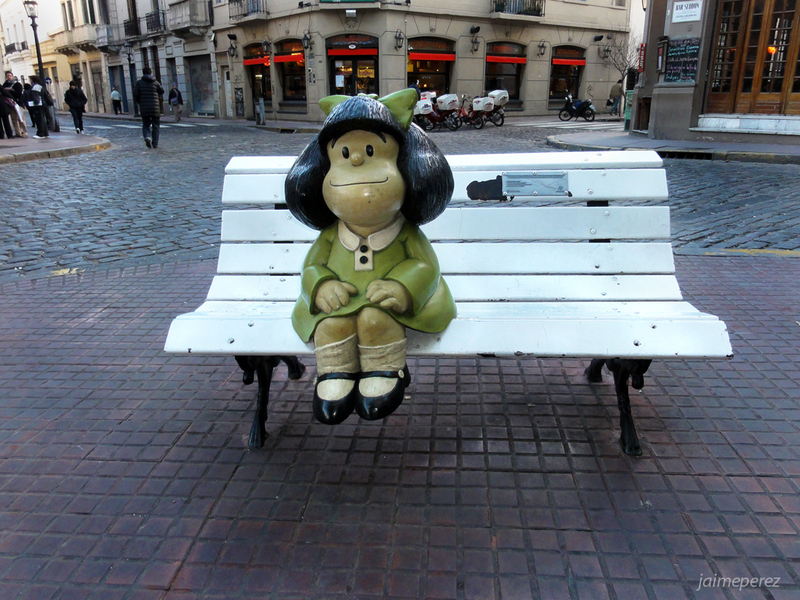 Mafalda is an Argentinian comic strip written and drawn by cartoonist Joaquin Salvador Lavado–better known by his pen name,Quino. Many thanks for your time and likes Cris! Thank you for the comments and the links. I’ve checked them out and even left a comment on one of them. I found the comics that were in English very cute. I’d love to see them printed in English. Thanks for passing by and comment psyco!